Serving all of Genesee County, Vern's Collision & Glass has provided quality auto body repair and auto glass services in Flint, MI for more than 38 years. We use original manufacturer's parts in our auto repairs, and with state certified mechanics, you can be assured you are getting quality workmanship. We even offer a lifetime guarantee on service. Serving all of Genesee County, Vern's Collision & Glass has provided quality auto body repair and auto glass services in Flint, MI for more than 38 years. We use original manufacturer's parts in our auto repairs, and with state certified mechanics, you can be assured you are getting quality workmanship. We even offer a lifetime guarantee on service. 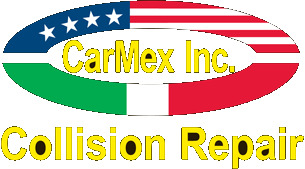 Contact CarMex for foreign and domestic auto repair, color match up, dent and painting services and collision services in Irving TX. Contact CarMex for foreign and domestic auto repair, color match up, dent and painting services and collision services in Irving TX. CooperColor.com distributes high tech aircraft paints, primer and topcoats. Specializing in automotive finishes and coatings with wholesale distribution available to body shops in the MO area. CooperColor.com distributes high tech aircraft paints, primer and topcoats. Specializing in automotive finishes and coatings with wholesale distribution available to body shops in the MO area. At Gilbert Window Tinting, we pride ourselves on our high quality of service, integrity and our Free Mobile Service. Our Window Tinting, Windshield Repair and Auto Glass Replacement technicians come to your location, anywhere in Gilbert, Arizona. We can service any and all vehicle makes and models, we accept all major credit cards and we can even handle auto insurance claims paperwork in house. At Gilbert Window Tinting, we pride ourselves on our high quality of service, integrity and our Free Mobile Service. Our Window Tinting, Windshield Repair and Auto Glass Replacement technicians come to your location, anywhere in Gilbert, Arizona. We can service any and all vehicle makes and models, we accept all major credit cards and we can even handle auto insurance claims paperwork in house. Maxco Auto Body and Paint is an auto body shop and auto paint shop in Montclair, California providing quality auto body repair and car painting services. We also provide auto glass repair, bumper repair, dent repair and dent removal services. Maxco Auto Body and Paint is an auto body shop and auto paint shop in Montclair, California providing quality auto body repair and car painting services. We also provide auto glass repair, bumper repair, dent repair and dent removal services. Royal Collision is the best auto body repair shop in Houston area. We offer trustworthy auto paintwork and auto body repair Houston for your branded cars. Royal Collision is the best auto body repair shop in Houston area. We offer trustworthy auto paintwork and auto body repair Houston for your branded cars. While we specialize in German car repair, we also do all European car repair as well. We understand that many auto repair facilities do not repair European cars. European cars require time and specialized knowledge. If you have a Saab, Volvo, Fiat, Jeep, Jaguar, Land Rover, just give us a call to get a quote! While we specialize in German car repair, we also do all European car repair as well. We understand that many auto repair facilities do not repair European cars. European cars require time and specialized knowledge. If you have a Saab, Volvo, Fiat, Jeep, Jaguar, Land Rover, just give us a call to get a quote! Mr. Bill's Body Shop - Riverside's best value expert auto, car and motorcycle body repair and painting since 1977. Mobile and in-shop collision and paint, paintless scratch, ding, dent and bumper repair service. Mr. Bill's Body Shop - Riverside's best value expert auto, car and motorcycle body repair and painting since 1977. Mobile and in-shop collision and paint, paintless scratch, ding, dent and bumper repair service. For over 50 years Keenan Auto Body has strived to provide our valued customers with timely and exacting collision repair services strongly rooted in family oriented business values. As a result of our state of the art facilities and highly-trained staff, Keenan is the regular recipient of both local and national service awards. No other repair center works as well, or with as many, insurance companies to make sure your car gets restored to its pre-accident condition and back on the road. For over 50 years Keenan Auto Body has strived to provide our valued customers with timely and exacting collision repair services strongly rooted in family oriented business values. As a result of our state of the art facilities and highly-trained staff, Keenan is the regular recipient of both local and national service awards. No other repair center works as well, or with as many, insurance companies to make sure your car gets restored to its pre-accident condition and back on the road. We are a better business bureau A+ rated complete automotive shop . We do it all . Auto repair and maintenance , auto body repair, tire sales and service, 24 hour emergency towing, custom auto services. We are a better business bureau A+ rated complete automotive shop . We do it all . Auto repair and maintenance , auto body repair, tire sales and service, 24 hour emergency towing, custom auto services. When it comes to auto repair shops, service centers, and automobile mechanics / technicians in Miami Blue Body Shop sets itself apart from the rest. Miami Blue Body Shop is a fully certified and experienced Miami auto, car, and truck repair & service center. We offer COMPLETE automotive repair & service for ALL makes and models, foreign and domestic. When it comes to auto repair shops, service centers, and automobile mechanics / technicians in Miami Blue Body Shop sets itself apart from the rest. Miami Blue Body Shop is a fully certified and experienced Miami auto, car, and truck repair & service center. We offer COMPLETE automotive repair & service for ALL makes and models, foreign and domestic. Finally, a mechanic you can trust. Gary’s Automotive Repair team wants nothing more than to give you great service at great prices. We do everything from oil changes to complete engine replacement. We service all makes and models both foreign and domestic. At Gary’s Automotive Repair, all work is guaranteed. If for some reason we don’t get it right, just bring it back with 90 days and we’ll make it right. Finally, a mechanic you can trust. Gary’s Automotive Repair team wants nothing more than to give you great service at great prices. We do everything from oil changes to complete engine replacement. We service all makes and models both foreign and domestic. At Gary’s Automotive Repair, all work is guaranteed. If for some reason we don’t get it right, just bring it back with 90 days and we’ll make it right. Mackin's E Vancouver Auto Body has proudly been serving the auto body repair needs of the Vancouver WA area for over sixty years. We specialize in collision repair, painting and auto detailing. We are also a Triple A approved auto repair shop. Visit our website today or give us a call for more information. Mackin's E Vancouver Auto Body has proudly been serving the auto body repair needs of the Vancouver WA area for over sixty years. We specialize in collision repair, painting and auto detailing. We are also a Triple A approved auto repair shop. Visit our website today or give us a call for more information. Sterling Autobody was founded in 1997 with a mission to redefine the collision repair experience. With a commitment to providing safe, high-quality repairs, while returning the car to the customer as quickly as possible, we developed a unique repair process and began building our own state-of-the art facilities. Sterling Autobody was founded in 1997 with a mission to redefine the collision repair experience. With a commitment to providing safe, high-quality repairs, while returning the car to the customer as quickly as possible, we developed a unique repair process and began building our own state-of-the art facilities. 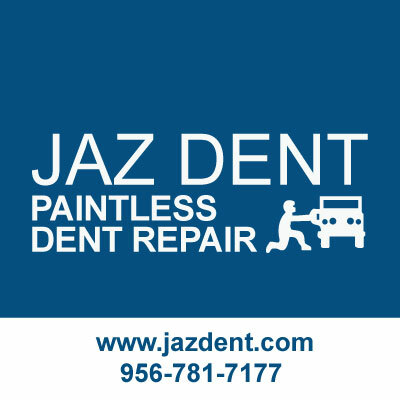 Jaz Dent is a Paintless Auto Dent Repair & Removal Service located in Pharr, TX. Our services include Paintless Dent Repair, Door Repair, Minor Dent Removal and more. Servicing Pharr, McAllen, Weslaco, San Juan, Hidalgo, Alamo, Donna, Edinburg, Mission, and surrounding cities. Jaz Dent is a Paintless Auto Dent Repair & Removal Service located in Pharr, TX. Our services include Paintless Dent Repair, Door Repair, Minor Dent Removal and more. Servicing Pharr, McAllen, Weslaco, San Juan, Hidalgo, Alamo, Donna, Edinburg, Mission, and surrounding cities. Stetner Auto Body & Painting has been serving the Seattle area with the highest quality auto body repair since 1971. We are a second generation, family owned business proudly serving the city of Seattle Washington. Visit our website today or give us a call for more information. Stetner Auto Body & Painting has been serving the Seattle area with the highest quality auto body repair since 1971. We are a second generation, family owned business proudly serving the city of Seattle Washington. Visit our website today or give us a call for more information. We are a specialized independent Body Shop in Los Angeles. Contact us for a Free Consultation at (424) 653-6674. We are a specialized independent Body Shop in Los Angeles. Contact us for a Free Consultation at (424) 653-6674. Auto Body Shop Temple Hills,MD Car Painting Dent Removal Collision Repair Automotive Restorations Import Foreign Cars Trucks SUV, Towing Service Marlow Auto Body. Auto Body Shop Temple Hills,MD Car Painting Dent Removal Collision Repair Automotive Restorations Import Foreign Cars Trucks SUV, Towing Service Marlow Auto Body.